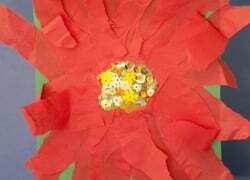 Get out the newspapers and make sure your glue sticks are working for these kindergarten paper and glue crafts! 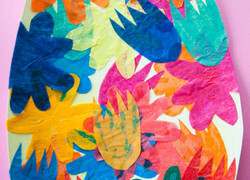 Kids can make paper crabs, collages, hanging jellyfish and more with these project ideas. 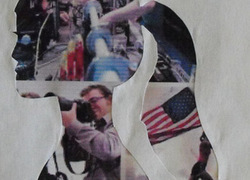 Don't forget to let the glue dry so your artwork remains intact! 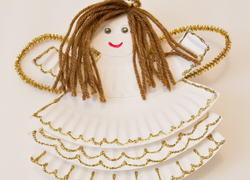 This angel craft for kids makes for a beautiful Christmas decoration. 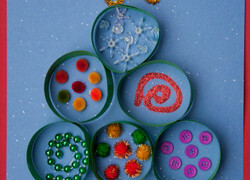 Make an angel craft for kids this holiday season. Create your very own colorful stained glass collage Easter egg. 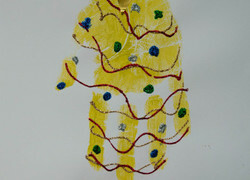 This handprint angel adds some sparkle to Christmas. 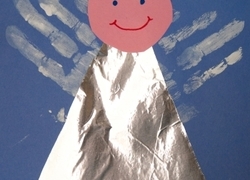 This handprint angel is turns your child's handprints into beautiful angel wings. It's a race against time to see how quickly she can color match and correctly place all of the water beads! 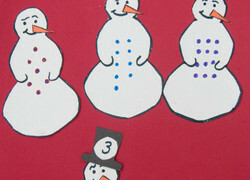 Bring some winter fun into your home while your child practices her number matching skills with this adorable snowman math game. 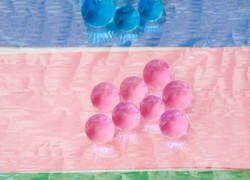 Here's a color matching game that is perfect for winter! 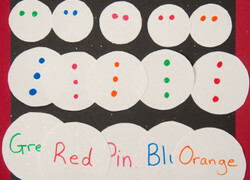 Your child will race against the clock to assemble the name of a color with its matching parts. 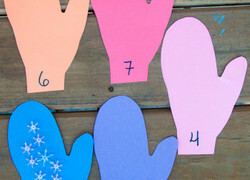 Warm up your little one's counting skills with this adorable winter number-match game. Play until she's warmed up and ready to count all on her own! 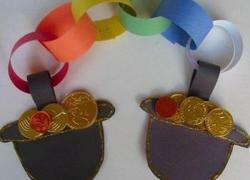 Make a rainbow chain for St. Patrick's day to introduce your child to Roy G. Biv. 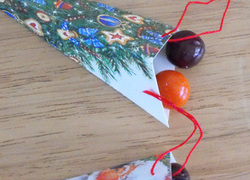 Reuse beloved old Christmas cards by filling them with candies and toys, and turn them into something to enjoy for years. 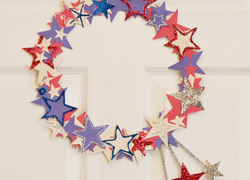 Make this star-spangled greeting for the door to make all your guests feel welcome for the next patriotic holiday. Help your ambitious kindergartener imagine her bright future by creating a self-portrait collage of jobs she's interested in. Help your kindergartener create his own shiny medal that celebrates his amazing and award-worthy accomplishments. 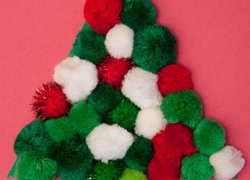 A pom pom Christmas tree dresses up holiday cards and decorations with some festive fuzz. 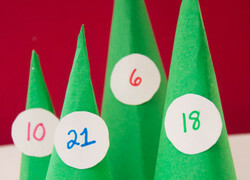 Make a pom pom Christmas tree with your child this holiday season. 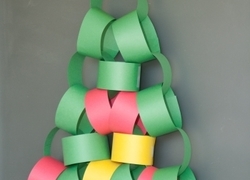 Learn how to make paper Christmas trees with this simple craft. 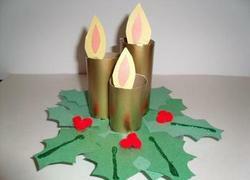 See how to make paper Christmas trees and celebrate the holiday season. This handprint reindeer adds some whimsy to your Christmas decorations. 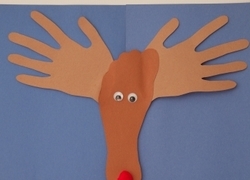 Make a handprint reindeer with your child out of paper and pom poms. This paper plate craft is simple and adorable. What's more, it's the perfect holiday activity for kids eager for Christmas celebrations. 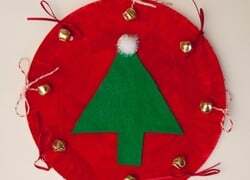 Help your child harness some of her festive holiday spirit with a paper plate craft that doubles as a musical instrument! 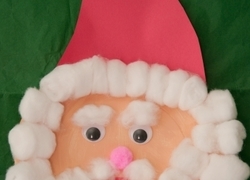 This handprint Santa is a great way for your little one to get in the Christmas spirit. 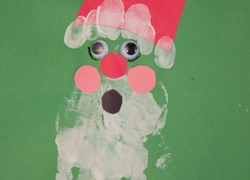 Make a handprint Santa with your child this holiday season. 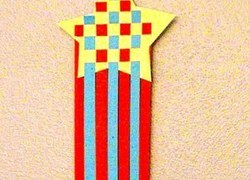 Show your patriotism on the next great American holiday by making a shooting star spangled banner that's reminiscent of the American flag.